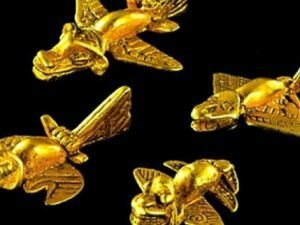 The small golden figurines that once belonged to the Incas and so closely resemble modern-day airplanes continue to astound researchers, and the question of whether these ancient forms depicted an actual prototype remains. Most recent articles along with themes in regards to Incas. Read about stories, mysteries along with handy advice about Incas. Obtain the most recent publications as well as write ups when it comes to Incas. Throughout the Incan city are 16 fountains, which residents once obtained water from. It was not spring water - it was brought to the city via a unique system of engineering. Vilkabamba is an ancient city in Peru. Vilkabamba was known as one of the last centers of the Inca empire. Some archaeologists do not identify Vilkabamba as that city, where Manco Inca Yupanqui hid. The Vilcabamba ancient city in Peru is known among archaeologists as the last refuge of the ruler of the empire of the Incas - Manco Inca Yupanki. Analysis of hair from the mummies, shows that months before making the sacrificial ritual, the ancient Inca began to fatten the children chosen to be sacrificed. The mystery remains, if Machu Picchu in Peru is not the lost city Vilkabamba, then which one is? The style of the buildings in Machu Picchu are late imperial. Incas - the ancient specialists in cranial surgery? Incas were specialists in opening the skull to heal injuries. They studied the skulls found during excavations in Cuzco, Peru. Ancient surgeries of the Inca Civilization.